Westminster College Education majors who certified during the 2016-17 academic year have a 100% job placement rate. “All the graduates that we recommended for Missouri teaching certification this past year are currently employed,” says Dr. Jim Concannon, Education Department Chair. The Education program at Westminster puts a strong emphasis on real-world experience, with majors spending time in K-12 classrooms starting their freshman year. The department’s small class sizes mean that aspiring teachers work closely with expert faculty and collaborate with their peers daily. Westminster’s focus on developing leaders in the classroom prepares graduates not only to lead their students, but to take on administrative roles as their careers progress. In a recent profile in the Fulton Sun, North Callaway High School teacher and Westminster alumna Erikka Brown ’13 said, “I wouldn’t have gone any place else. [Westminster] was the place for me.” She has since completed her master’s degree and is seeking certification as a principal and superintendent. Recent Westminster Education program graduates teach in Missouri, Illinois, Oklahoma, Iowa, Florida, Massachusetts, California, Virginia, Kansas, Arkansas, Arizona, Texas, Colorado, and South Carolina as well as Spain, Hong Kong, Japan and Great Britain. 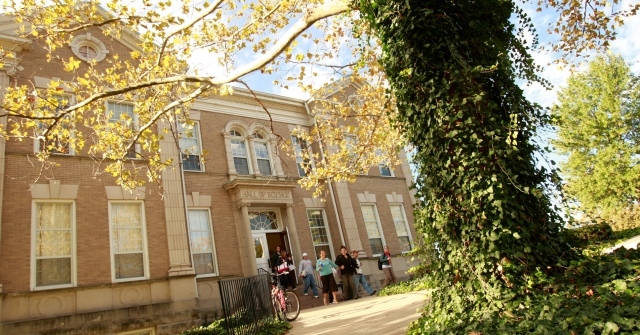 To learn more about majoring in Education at Westminster College, visit the department’s webpage.